The 28th Annual EMA Awards ceremony sponsored by Adobe Road Winery, took place on Tuesday, May 22, 2018, immediately following the conclusion of the EMA IMPACT Summit, hosted by model and activist Amber Valletta. The world-renowned awards event recognized films, TV shows, documentaries, and new media that use creativity and storytelling to educate the public on our planet’s most critical issues and the solutions to them. This year’s EMA Award nominees included 20th Century Fox’s Ferdinand, Paramount Pictures’ Downsizing, and Geostorm from Warner Bros. Pictures, Skydance, and Electric Entertainment, as well as The Good Place and The Blacklist for NBCUniversal in the categories of television episodic comedy and television episodic drama, respectively. 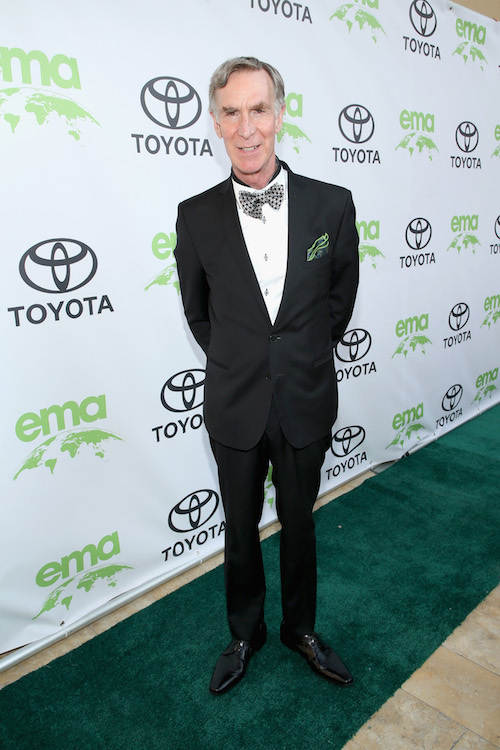 Furthermore, the EMA Awards showcased projects that have received an EMA Green Seal for sustainable production, a program that sets the standard for sustainability across the entertainment industry. Guests in attendance included Lance Bass, Jenna Dewan, Ed Begley Jr., Jordana Brewster, Emmanuelle Chriqui, Francesca Eastwood, Frances Fisher, Leona Lewis, Wendie Malick, Sarah Olsen, Carter Jenkins, Madelaine Petsch, Perrey Reeves, Amy Smart, Constance Zimmer, and more.